It says a lot about an estate when their “current release” is from a harvest over four years prior. Given that the Portalis clan never employs de-stemming, the wines—built nearly entirely on the back of the thick-skinned Mourvedre—do benefit from extended time in cask, which allows those ferocious young tannins to relent and soften a bit. 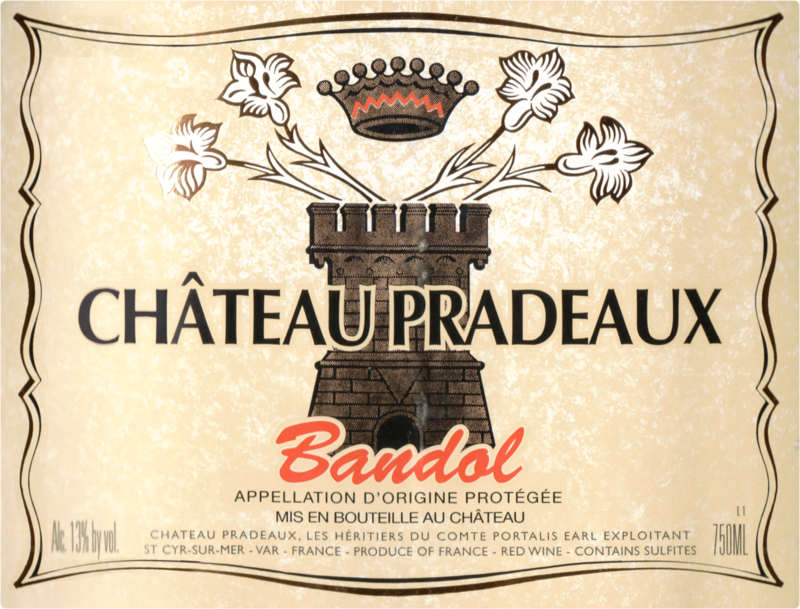 Much is made of the tannic nature of young Pradeaux, but they are always honest tannins—derived from fruit and plant matter, not from force of extraction or the power of new oak. And, needless to say, it is precisely this firm structure which allows the wines to blossom into awe-inspiring cellar treasures with time. That said, this 2013 is exceptionally elegant for Pradeaux, with a downright gorgeous nose: lifted, pure notes of tobacco, garrigue, black cherry, and warm leather, delivered with explosiveness and precision simultaneously. The palate shows grip, but it is a firm handshake rather than a vise, and the tannins meld seamlessly into the attractive fruit on the relatively gentle and lengthy finish. 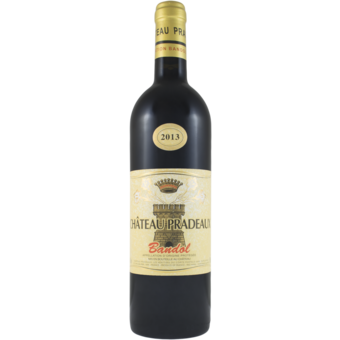 This is one of the more beautiful young wines Chateau Pradeaux has ever released, and the fact that it was from a relatively difficult growing season only emphasizes the family’s intuition and skill with this land they’ve worked for so very long.